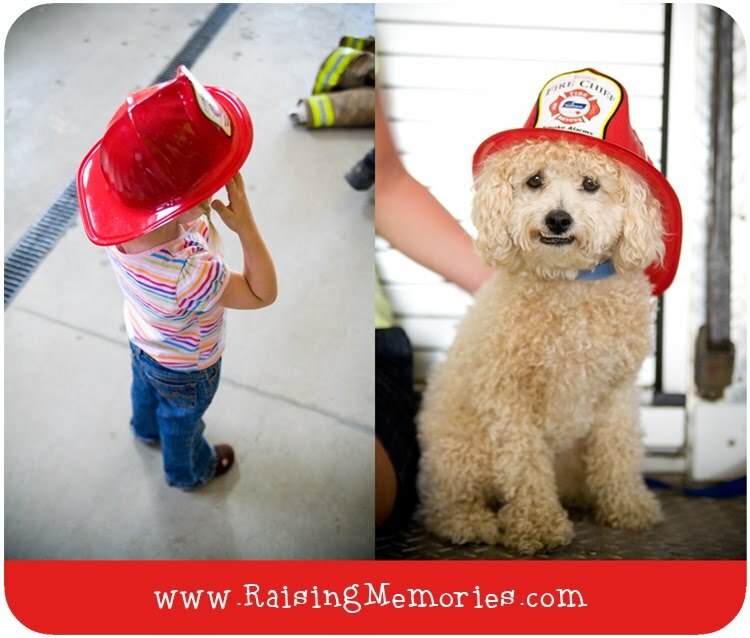 My brother-in-law is a volunteer fire fighter. 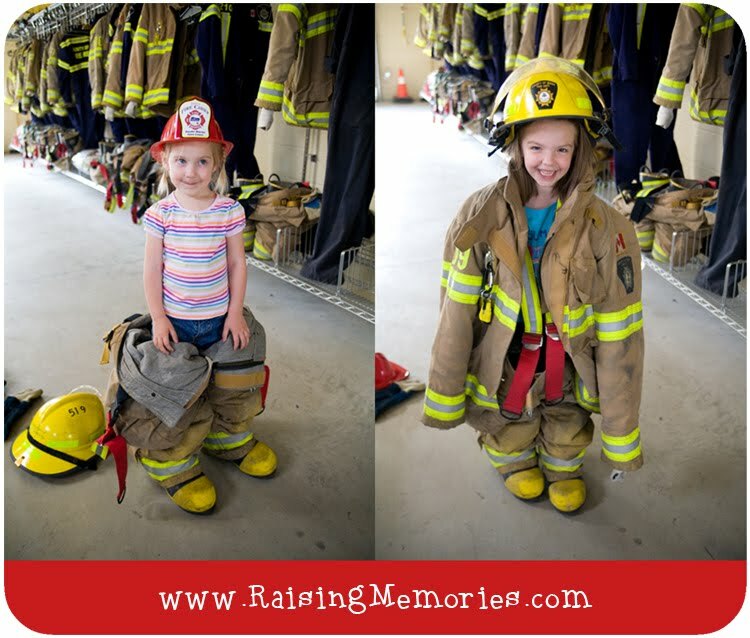 The girls were so excited that they got to go with Uncle Russ & Auntie Amber to the fire station and get the full tour! If you have an opportunity to do this in your community, go do it! 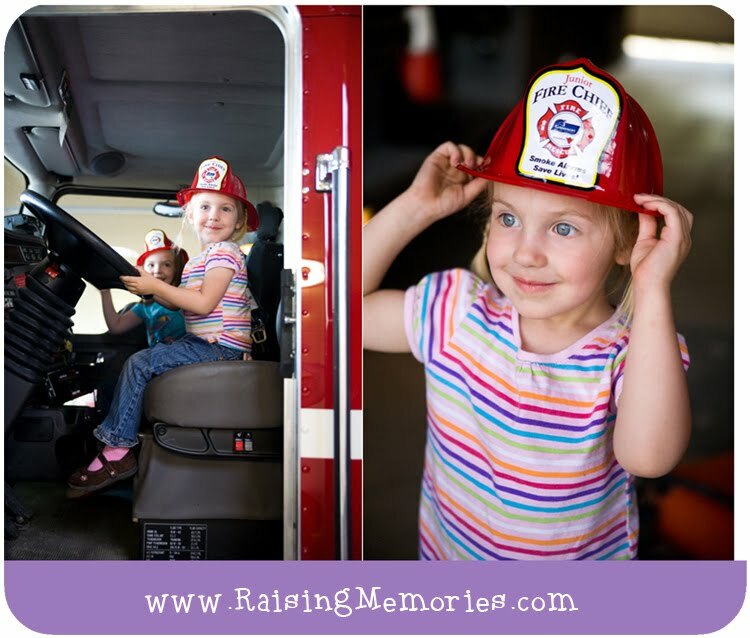 They got little hats, and got to sit in the fire truck. Talia even got to turn the siren on! What a fun, unforgettable experience! 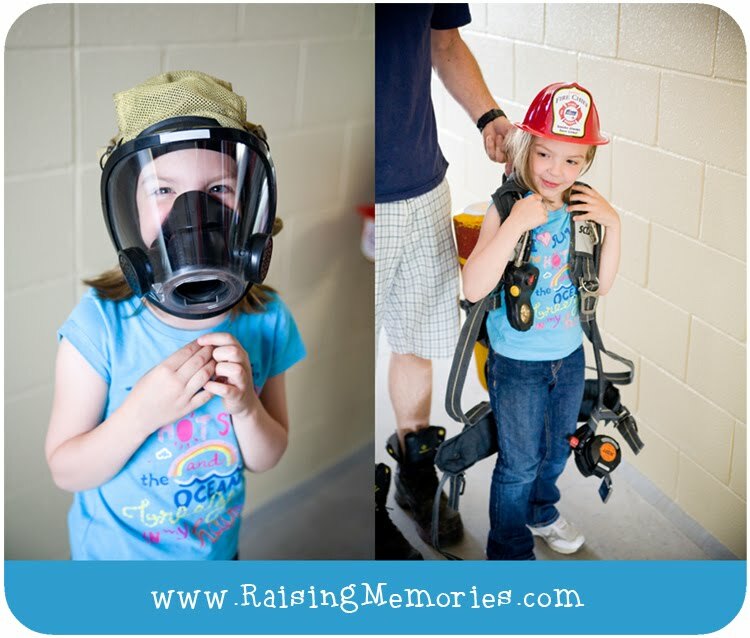 Thanks so much Amber & Russ, for making some special memories with us! I absolutely llloooovvveeeeee!!!!!! this idea. That`s what I`m doing for my nephew for his birthday.